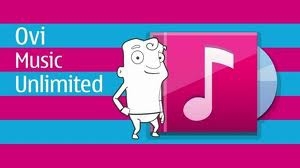 "Nokia Corp. has announced it will be shutting down its Ovi Music unlimited subscription service in 27 countries. The service - similar to Microsoft Corp.'s Zune Pass - allowed people to pay a set fee to access as much music as they wanted, legally and conveniently. Originally launched with much fanfare in Britain in late 2008, and seen as a major threat to the iTunes dominated market with Nokia securing all four major music publishes [sic], it has seen a sad decline in most markets." Subscription music is a hard sell, so it's not surprising to see Nokia giving up on it - I have to commend them on getting it all up and running in so many countries in the first place...it's something Microsoft hasn't been able to do with Zune as of yet. Hell, I can't even buy music from the Zune Marketplace in Canada, let alone have a Zune Pass subscription. A key problem with Nokia's Ovi approach was that it locked the music to the handset - I don't think there was a way to get it onto the user's computer. The concept of subscription music is also hard for people to wrap their heads around, even though it's similar to a cable TV subscription.